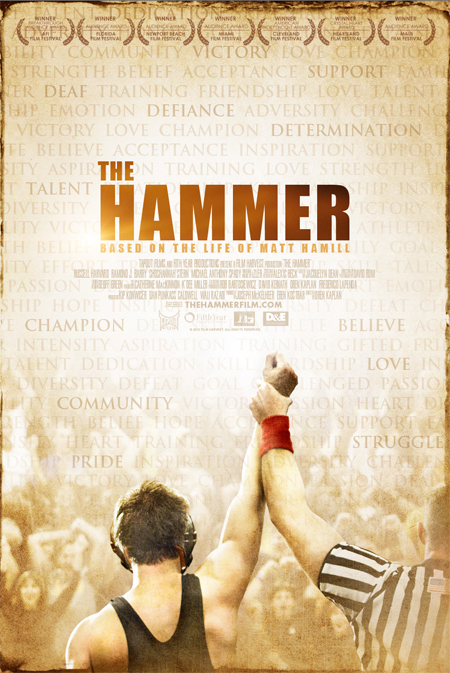 On October 27th, “The Hammer” hits the big screen in over 25 states across America. AMC, Rave Motion Pictures, Studio Movie Grill, UltraStar, Kirkorian and Goodrich are among the 90 theaters that will show the feature film. The movie stars deaf actors Russell Harvard as Matt Hamill and Shoshannah Stern as Kristi Hamill. Oren Kaplan makes his directorial debut.